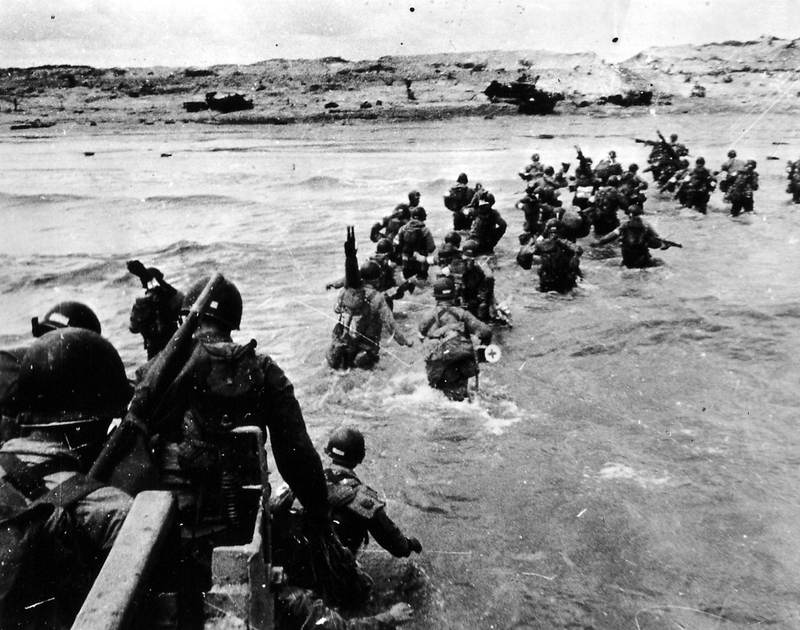 The D-Day Story provides a fascinating introduction to D-Day and the Battle of Normandy. Additional resources can be found in this part of our website for those who may like to find out more, or who are planning to undertake some personal research about D-Day. Get answers to some of the questions we are most often asked about D-Day and the Battle of Normandy. Lead Allied assault forces: 82nd & 101st US Airborne Divisions (airborne landings), 4th US Infantry Division (beach landings). Find our who we are and some of the activities we undertake. The D-Day Story Collection enables you to search the catalogue of objects and archives held by the museum. The Overlord Embroidery, centrepiece of The D-Day Story, tells the story of D-Day and the Battle of Normandy. Family History will help those of you researching the story of family members involved in the Normandy Campaign. Researching local D-Day connections equips you to explore the history of D-Day on your doorstep. See how Portsmouth’s community groups are researching D-Day heritage in their local area.